They are expected to travel with a black ensemble on hand. Being a part of the royal family is an amazing privilege, but it comes with a lot of traditions and rules, some of which affect even their fashion choices. Here are 14 style protocols that they follow. Wedding dresses need the Queen's approval. It's a tradition that the Queen needs to approve the final version of a royal wedding dress. 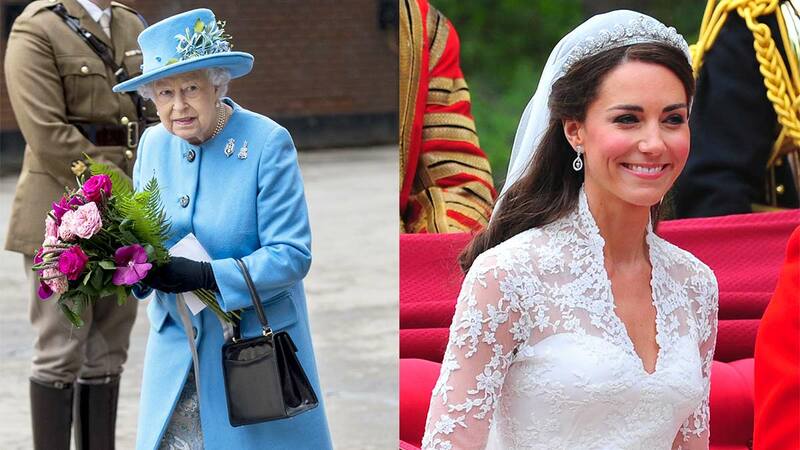 Apparently, Queen Elizabeth had to approve of Kate Middleton's Alexander McQueen gown in 2011, and she'll do the same with Meghan Markle's dress for her wedding to Prince Harry. Reportedly, Markle has chosen a Ralph & Russo gown to wear to her May 19 wedding, but the Queen will have a final say in her decision. Colorful nail polish isn't allowed. Every time you see Queen Elizabeth or Kate Middleton step out, you might notice their nail color is always neutral. They either wear subtle pinks or clear polish when on official business because only natural-looking nails are allowed at royal events. The Queen has been wearing Essie’s “Ballet Slippers” shade for 28 years. Not just anyone can wear a tiara. The Queen uses her handbags to send secret messages. Clutches had another purpose—such as hiding cleavage. Clutches are also used to avoid shaking hands. The Queen wears bright clothing—but not because she loves color. The Queen wears hats due to an old tradition. Royals are expected to travel with a black ensemble on hand. Prince George only wears shorts. Do NOT wear wedge shoes around the Queen. Speaking of shoes, the Queen reportedly hires someone to break hers in. Queen Elizabeth makes so many royal appearances, all of which usually require heels or dressy shoes. Since she's constantly on her feet, having someone to break in her shoes means she skips all the uncomfortable rubbing and blisters that come with wearing new shoes. In an interview with Evening Standard, designer Stuart Parvin said, “The shoes have to be immediately comfortable...she does get someone to wear them. The Queen can never say, ‘I’m uncomfortable, I can’t walk any more.' "
According to the publication, a staff member will wear a pair of beige cotton ankle socks while breaking in the Queen's shoes and can only walk on carpet during this period. Dream job, right? Weighted hems are a common trick to avoid wardrobe malfunctions. Pantyhose is *highly* suggested, although not required.